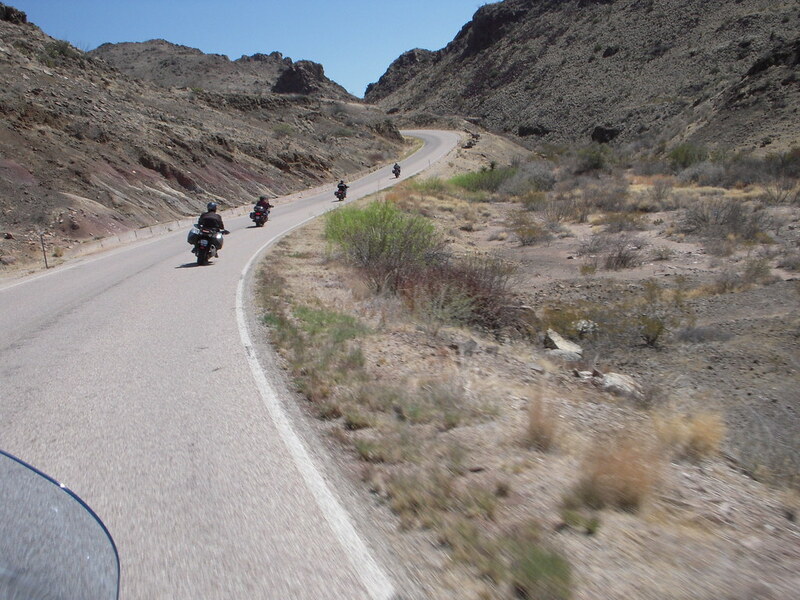 The 2017 Big Bend - Davis Mountains Ride the Twisties is on the Calendar for the 19th through the 21st of October, 2017. COG rooms are only blocked out until the 18th of September, 2017. Please make your reservation as soon as feasible. The Maverick Inn has great amenities and people so this year we will have the "run" of the place with their great free breakfast, free WiFi, and easy walking distance to good restaurants. www.judysbreadandbreakfast.com/ and dinner is included as part of the registration fee for Saturday night. Ride registration fee is $20 per person for COG members, and $25 for non-members which includes dinner. Craig, can I pay when I get there? You sure can!!!!!! Looking forward to seeing you! Is there a group number for discounts on the rooms. I'm already registered, however I don't see where we have a group ID. Please say you are with COG. The Maverick includes a free hot breakfast. This is the peak season for Big Bend so the prices are a little higher, but the weather is gorgeous. The Maverick also has a fire pit. Second year to attend. Last year was spur of the moment last minute decision. This year I'm planning ahead. Personally, will be in Fort Davis for a few days before the COG event. I am still saving for retirement. Just a few more months and then I will be poor but retired. Anyone want to share a room to save money but ok if I have to back out last minute? Looking forward to rolling down to Alpine. Kinda running out of PTO for the year so I'm taking "excuse" suggestions? Honesty is still the best policy. I just plain told the boss "I'm sorry, I've gotta go. It's good for the soul." Can't wait to see everyone! I'm gonna be there, Lord willin' and no more hurricanes make anything deeper around here. I'll try not to throw any this year. But no promises. Tonight at 9PM rooms are released at the Maverick, if you are on the fence call now. I thought blocked until the 18th?!?! Was it actually the 8th? They changed it on me. What was room rate that was negotiated? Room rates reverted back to regular pricing on the 8th. The discount was only about 5%, but there is breakfast and a fire pit at this location. This is "peak" time for tourism with the chili cook off and the great weather. Asking this for a friend. He will be riding down to the Texas hill country from Mountain Home, AR. He will be there the 2nd full week in October. What would be the best route for him to take. I will be on a NE cruise that week, but plan on making the Natl next year. I also live in Mountain Home, AR. US 259 south to Idabel, OK and take the US 70 bypass to OK 37 south to the Texas state line. Let me know if this is type of route he is looking for, where the final destination is, and I will post more. I will show him your directions. I would assume that his destination would be the Kerrville TX area. OK from Paris I can prescribe a nice route avoiding most of DFW with nice twisties and views. According to their website, Maverick Inn still has rooms for $120 night - AAA rate. May need a roomie to share that for 3 nights. Also the Highland Inn next door for half that - need to confirm availability. Trying to entice a couple of C-14 riding non-Coggers to come out. Questions for the DFW group - any plans for Thursday ride out? Just a suggestion; we could meet at Kawasaki West on the west side of the metroplex at 8:00am and just do a high speed burn (sounds cooler) across I20. Prefer to do a high speed burn down 377 / 67. Timing OK if you want to meet up on 820. Will be leaving FloMo around 7.